Annyywhhoo i will love you and leave you, i seem to have eaten something that can only be described as “dodgy”! It has left me in agony and feeling just horrible the past 2 days, i really hope to be through it soon as i hate being ill, and feeling yuck yuck yuck!!! Also joing up with this fabulous lot!! Previous Post A falling out…. Cute shoes!! 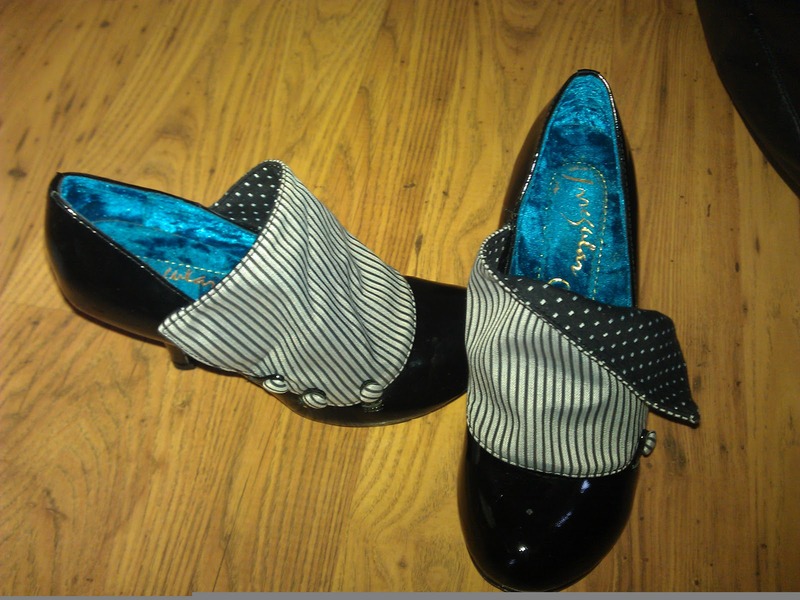 I just bought a pair of Irregular Choice shoes at a resale shop. I love how unique they are–kind of like works of art. Mine are a little on the uncomfortable side, but their awesomeness makes up for it. Love it all..like always! Hope you get to feeling better! That top is da bomb! So, delicate and sweet. Nice Job! I love your outfit! The blouse is so cute, and I am obsessed with those shoes. Such a cute blouse, I love the collar! I really like this outfit. I bet the pink shirt would have looked great too. This outfit looks amazing on you! I love your blouse and that umbrella is so fun and cheery! I love all the little bird accents! So sweet. I am a sucker for fun prints. I really love that blouse! Wow! Love love LOVE the outfit and those shoes are to die for! Thanks for coming by mine today, I'm following you now on GFC (I hear it's staying for us Blogger folks). I love this on you – such a pretty blouse! I too am struggling with the black and white… going to come up with something this weekend. It's certainly a challenge! Thank you for all your sweet comments on my blog! Now that the nicety is over…Had over that blouse and those shoes lol…I love your style 🙂 Now following! Great blouse! And I love the umbrella. So cute! I love that necklace and that top and that umbrella!!! Goodness you look fab! Thanks for the comment love! Have a great day! 🙂 Feel better! I love those shoes and that umbrella! By the way that top would have gone great with a pink skirt! You look gorgeous! Black and White is right up my street 🙂 I'm not much of a shoe person but I heart those shoes lots! so cute outfit…love your shirt so much!!! 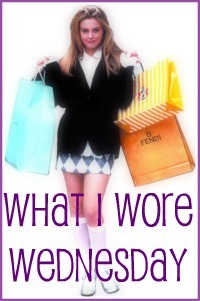 I am doing a fashion and beauty blog hop on my blog – come and join in the fun! I love your outfit- the bird blouse is so pretty and i want your umbrella! you look so cute! Monochrome with a slick of red lipstick is such a classic combination. & Please tell me where your adorable daisy umbrella is from? This top and shoes are one of my FAVORITES…. For real I just can't get over the, the detail between the two of them just shine. LOVE. THIS. Thanks so much for coming by Little Miss Mama and showing some comment love. It means a lot to me, as I am sure you know yourself being a blogger. Keeps you move, moving on! Come over again sometime soon, and don't forget to enter my current Giveaway. For the love of Fashion & Tea.